Discover Los Angeles and see some unbelievably stunning views during this 4.5-hour small-group tour. Sit back, relax, and travel in comfort via an air-conditioned vehicle while your driver/guide leads the way. Visit some of Los Angeles’ most notable locations such as downtown, Hollywood, Griffith Park, Beverly Hills, Sunset Strip, Santa Monica, Venice Beach, and the Hollywood sign. Bottled water is included. Experience the most comprehensive Los Angeles tour and see Santa Monica, Venice Beach, downtown Los Angeles, Hollywood, the Hollywood Sign, Griffith Park, Hollywood Walk of Fame, Beverly Hills, Rodeo Drive, Bel Air, Sunset Strip, movie star's homes, and more. Sample the rich history, diverse culture, and sun-drenched beaches. This tour provides all of the information you need for the big city of Los Angeles including where to eat, shop, and party. Olvera Street is in the oldest part of downtown Los Angeles and is part of El Pueblo de Los Angeles Historic Monument. See the Disney Concert Hall, LA Live, and the Staples Center (Home of the Lakers). Feel the magic of Hollywood and see memorable locations from hit movies. Look for your favorite celebrity’s hand prints at the Grauman’s Chinese Theater. Search for your favorite celebrity’s star on the Hollywood Walk of Fame. Madame Tussaud’s Wax Museum, the new home of the Oscars (the Dolby Theater), and many other fun attractions are located along world famous Hollywood Boulevard. Go inside Griffith Park and from high above Los Angeles, have your picture taken in front of the world famous Hollywood Sign all while also seeing spectacular city views. Don’t leave Los Angeles without these memorable moments. No trip to the “City of Angels” is complete without a great picture of the Hollywood Sign. 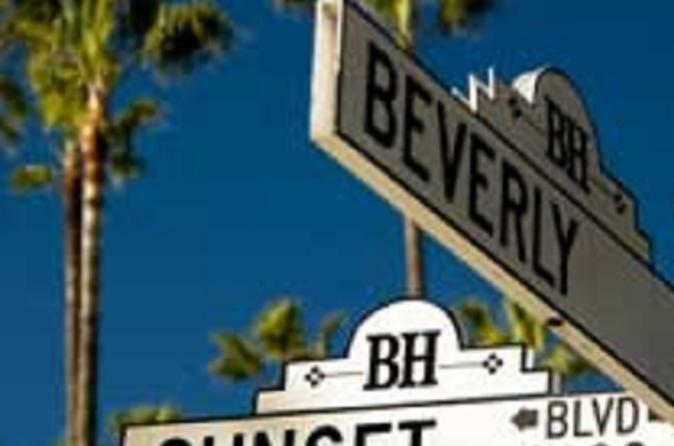 See Beverly Hills, Bel–Air, Sunset Strip, celebrity homes, and more. Visit where the movie stars live, shop, and party. See beautiful mansions, night clubs on the Sunset Strip, and the most expensive shopping street in America – Rodeo Drive. Find fun places you can return to and night-time hot-spots where you may even see a celebrity later that night. See the beautiful sunny California coastline, downtown Santa Monica & Third Street Promenade, which is full of high energy dining and night life, and then experience the street art and local performers over at Venice Beach.